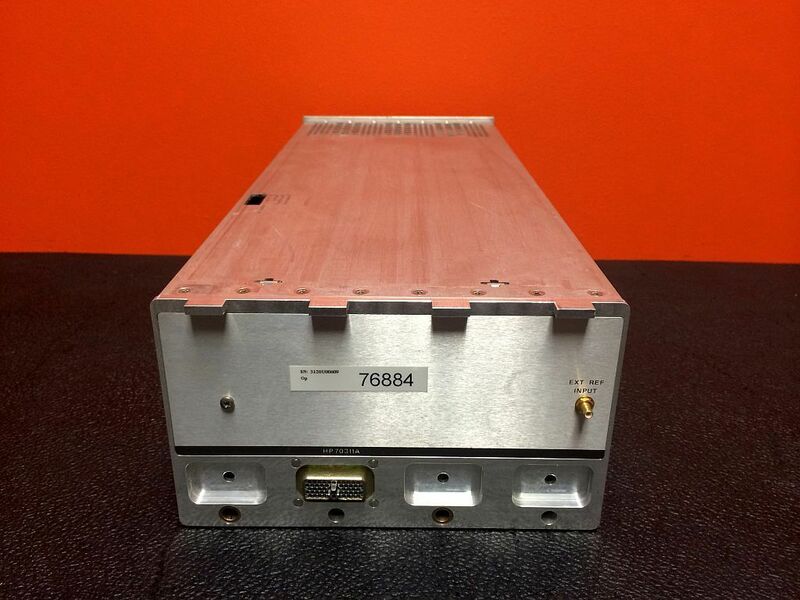 The HP Agilent 70311A is a 3GHz (16 to 3300 MHz) Signal Source Clock Module and occupies 4 MMS module slots. It provides a variable synthesized clock signal to the pattern generator. 3 GHz Signal Source Clock Module. 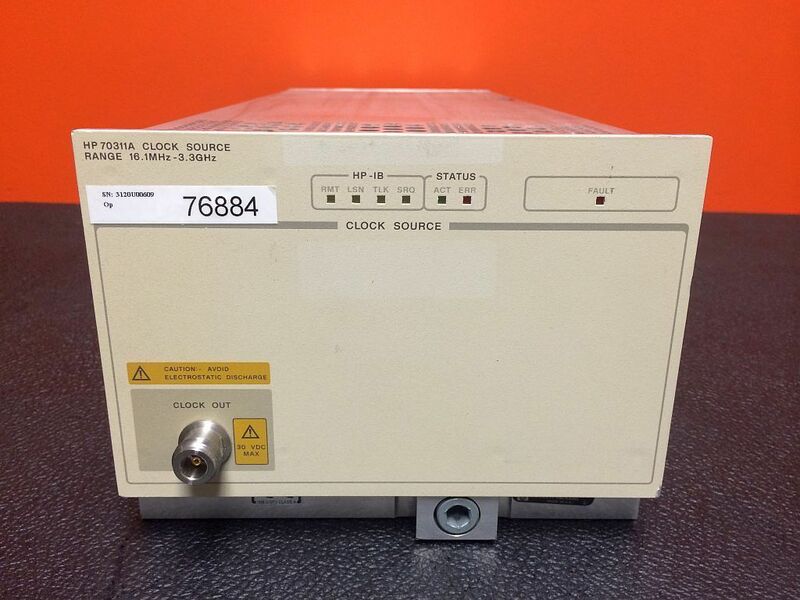 A specific set of clock sources are compatible with the Agilent 71501C. Choice of clock source: depends on data rates and jitter modulation requirements. Frequency Range: 16 MHz to 3.3 GHz in 1 Hz steps. Stability: ± 2 ppm/year after 1 year aging. ± 6 ppm over 0 to 40°C. SSB phase noise (3.3 GHz carrier): -75 dBc/Hz at 1 kHz offset; -115 dBc/Hz at 20 kHz offset. Interface: ac coupled, 50 ohm, N-type female connector.